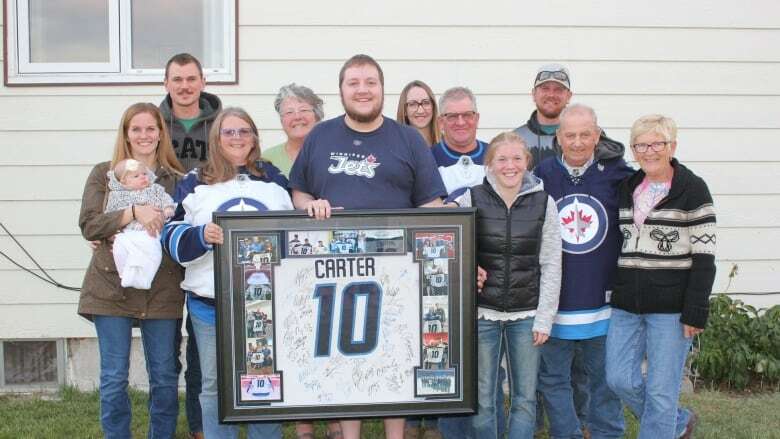 The Jets fan who coordinated a 31-city "Jersey Tour" to honour his late friend presented the framed sweater to his friend's family in Saskatchewan in an emotional meeting. It started as a way for a Winnipeg Jets' fan to honour his late friend, who died before they could attend his first NHL game together, and ended up becoming the feel-good hockey story of the year. 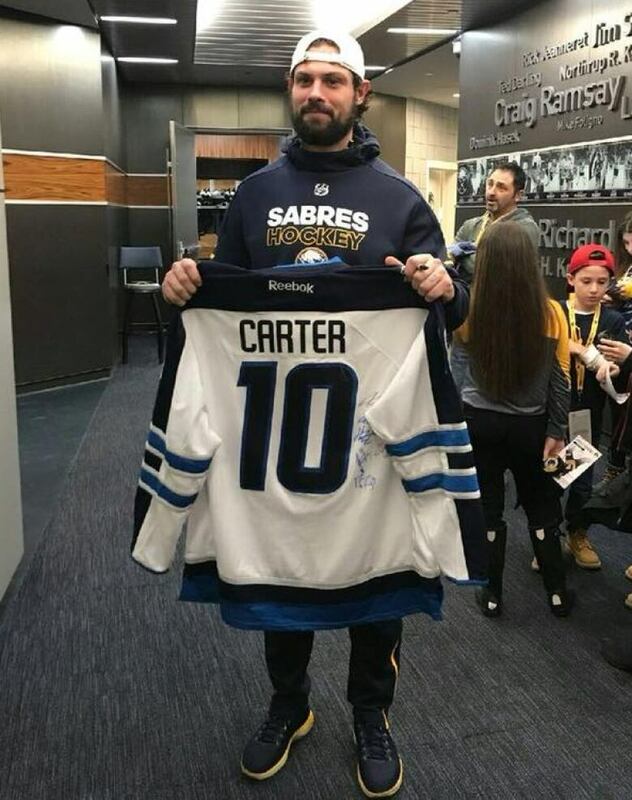 Last year, Graeme Fortlage decided to attempt to send a special Jets jersey to every arena in the NHL as a tribute to his late friend, Carter Jansen. 21-year-old Jansen was killed in a highway crash in 2016. 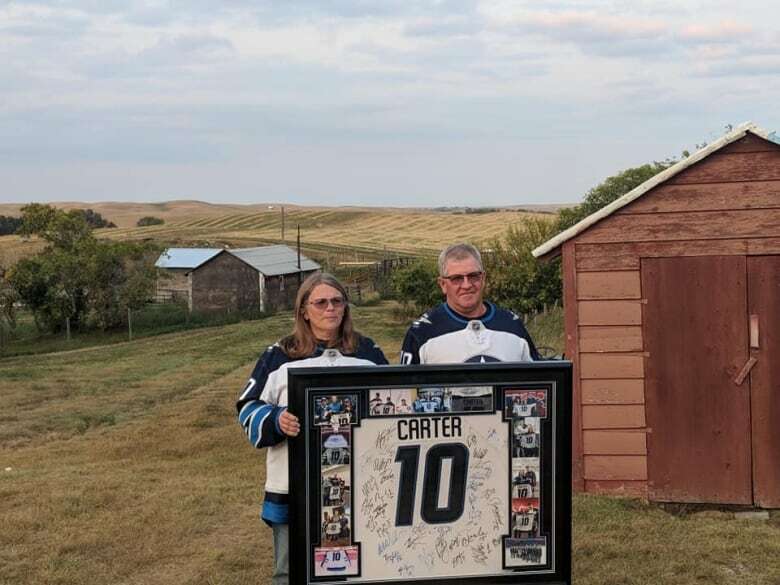 This past weekend, the tour came full-circle, as he drove the framed jersey to its final destination — the home of Carter Jansen's parents in Beechy, Sask. The meeting was very emotional, Fortlage​ said, full of hugging and crying. "It was the final coming together of everything, the final realization of what I never thought could be possible." 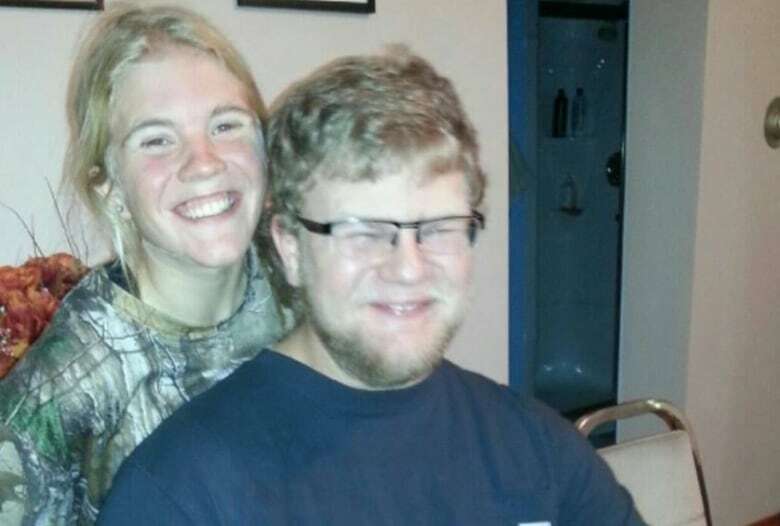 Fortlage​ had met Jansen's parents before, but had never been to their home. The two young men had connected by playing video games on the internet years ago, and formed a strong bond over hockey. Jansen's parents have been "absolutely blown away" by the tour, Fortlage said. Over the last year, the jersey made its way to 31 cities with the help of hundreds of volunteers. 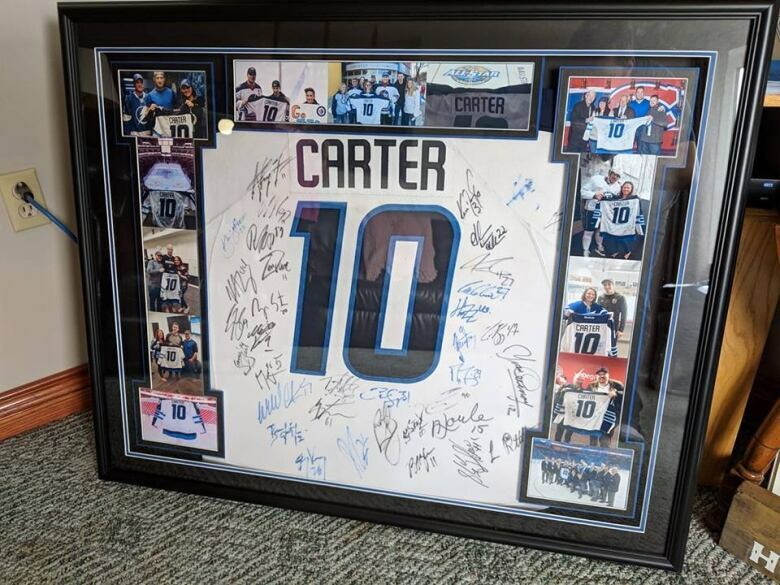 It collected dozens of signatures, many from legendary NHL players, including Ed Belfour, Curtis Joseph, Wendel Clark, and Joe Daley. "It's basically a who's-who of the NHL," he said. The jersey tour was embraced widely by NHL players and fans alike. 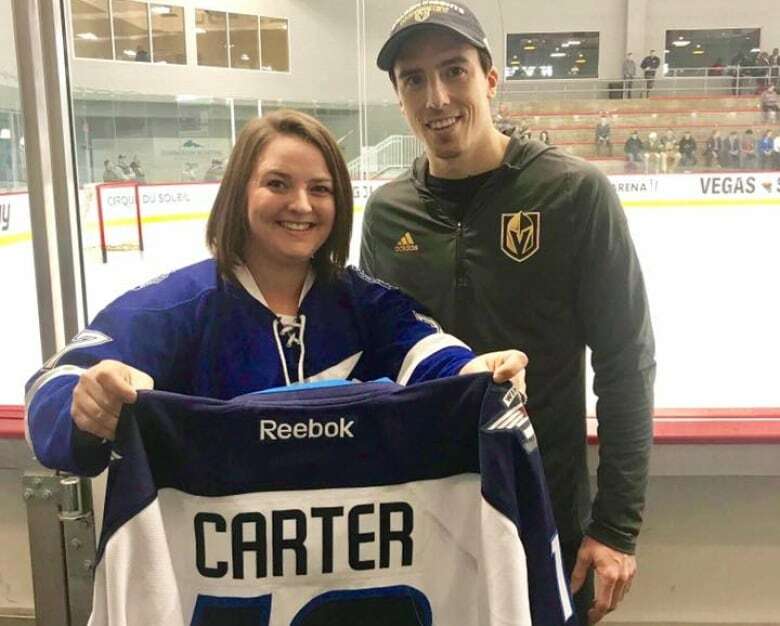 Vegas Golden Knights goalie Marc-André Fleury personally asked to meet the jersey on its arrival in Las Vegas, and the L.A. Kings promised to give it "royal" treatment when it goes to the Staples Center in Los Angeles in April. The framed jersey is now surrounded by photos from important moments along the tour. Jansen's family plans to mount the framed jersey on a blue wall in their home. "They found a wall that was the only Jets-blue colour in their house, that just seemed perfect for it," Graeme said. Graeme also plans to maintain the Facebook group he created to help coordinate the tour, but to use it to bring hockey fans together to do good things in the community. With files from Information Radio.